Rapid Opiate Detox has been a blessing to many people who chose not to endure a long withdrawal period from opiates. This method of detoxification from opiates is like ripping off a Band-aid. It greatly shortens the amount of time a person will go through the unpleasant withdrawal symptoms of an opiate addiction. However, a person should not commit to Rapid Opiate Detoxification unless they are fully aware of the drawbacks. At a quick glance, Rapid Opiate Detox may seem like a dream come true. Recovering from a dangerous addiction in your sleep? One can certainly understand why it seems like an attractive option. This does not mean that it is a procedure that comes without risk and without unpleasant attributes. Rapid Opiate Detox is not a procedure to be taken lightly, as it will not be totally free from danger and discomfort. Firstly, going under anesthesia always comes with some risk. Every procedure that requires the use of anesthesia proposes some risk to the patient because it can be impossible to know if they are experiencing a negative reaction to any part of the procedure or the anesthesia itself. Any legitimate opiate detox center will require the assistance of an anesthesiologist. Secondly, the belief that Rapid Opiate Detox keeps a person from feeling any withdrawal symptoms is mislead. 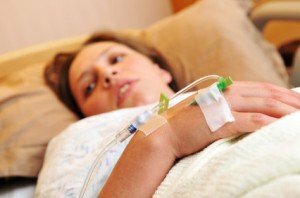 When the average person wakes up from their procedure, they feel awful. Some people feel awful for days after their procedure and experience much of what they would have experienced through a regular detox. Symptoms are managed with medication as best as possible, but the patient is not saved from withdrawal symptoms. And lastly, there is still a mistaken belief held that a Rapid Opiate Detox will prevent a person from using again which is anything but true. A person needs professional addiction treatment in order to keep from using again. This may come from addiction counseling, rehab or at least a support group, but a person should be ready to work hard on themselves and their mental health in order to never use again. Opiate addiction is powerful and overwhelming. When a person is overtaken by opiate addiction, it takes a considerable amount of work to lead them back to sobriety. A person may be addicted to opiates because they are dependent on the high they get from it, the suppression of pain they get from it or the ability to ward off withdrawal symptoms that they get from it. Regardless, their addiction requires the expertise of addiction specialists and substance abuse counselors in order to achieve recovery. The first step to beginning this treatment is going through a thorough detoxification. This may be done on site in an addiction treatment center or it may be done at a private detox clinic. A lot depends on how severe the addiction is and how hard the withdrawal symptoms are anticipated to be. It is important that this process is medically supervised because opiate withdrawal symptoms can put a person in danger. Seizures, fainting spells and pain are all possibilities. Once a person is physically well enough to focus on the cognitive behavioral side of treatment, the work on their addiction recovery can begin. Addiction treatment centers provide clients with group counseling, private counseling, workbook exercises, therapeutic activities and ongoing nutrition plans to ensure the strength of their recovery. Addiction treatment is all about learning to think differently so that when the opportunity to use arises (which it inevitably will) they will be equipped to walk away from it. Addiction treatment also provides follow up services to their clients to ensure that they are continuing to receive the support they need once they are outside of the treatment center. Addiction recovery requires work and commitment, but a healthy, happy lifetime of being free from addiction is worth it. Canadians who are struggling with opiate addiction should seek the services of a professional detox center, such as an Alberta drug detoxification center, as well as an addiction treatment facility, such as a Vancouver rehab. Opiate addiction is not something to face without the help of others. Rapid Opiate Detoxification is one of several methods used to detox from use of opiates. The method that an opiate addict selects will be dependent on the severity of their addiction and the guidance of medical opinions. Opiate withdrawal can be dangerous due to the severity of its symptoms and should not be attempted without careful medical evaluation. Some of the detoxification options for an opiate addiction are as follows. Medical detox. 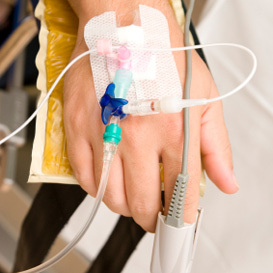 Medical detoxification from opiates takes place in a hospital or addiction treatment center. This process takes days or even weeks as it is paced gradually over time. The patient is tapered off of opiates and given sedatives and detox medications to fight the unpleasant withdrawal symptoms. This is commonly the most recommended way of detoxing for the average case of opiate addiction because it balances the withdrawal symptoms with their remedies and provides necessary medical supervision. Stepped rapid detox. This method of detoxification is very similar to a rapid opiate detox but the detoxification medications are given in more spaced out intervals than in the case of rapid opiate detox, as well as being given orally instead of intravenously. Outpatient detox. Opiate detoxification that is done through outpatient medical care is usually spaced out over a period of 7 to 14 days. This option works well for people with more mild opiate addictions who are unlikely to experience the extreme withdrawal of a more severe addict. Home detox with methadone. For people with decidedly mild opiate addictions, detoxing at home can be a comfortable and recommended option. Rather than leaving the comforts of home to detox in a clinic, an opiate addict can be given a prescription of methadone or another detox medication and instructions for detoxing at home. It is still recommended to have a friend or family available for support when following this method. Natural home detox. For very mild cases of opiate addiction in a person who strongly prefers to detox through all natural methods, particularly through a very specific diet, exercise and sleep schedule. Opiate addiction is a horrible experience for the addict and their loved ones. Opiates are known for being one of the most addictive drugs, both psychologically and physically. The state of euphoria that opiates put people into is highly addictive in its own right, but when a person has become addicted to a prescription opiate, tapering off of it is an extremely hard process. Opiates are derived from opium, which comes from poppies. They may consist of pure opium, synthetic opiates like Oxycontin or close relatives of opium such as morphine. Opiates are dangerous because they require their user to use ever increasing amounts in order to continue feeling its effects. This applies to people seeking a mind altering state and people seeking relief from pain. This builds a tolerance within a person initially and a dependence within the person ultimately. Once a person is physically dependent on opiates, meaning the natural opioid sensors in their body do not know how to function without continually receiving opiates, quitting is extremely difficult on a number of levels. Not only are the feelings of relief and escape through opiates addictive in their own right, but the withdrawal symptoms that come with quitting or reducing opiate intake are severe, and can include nausea, vomiting, digestion problems, sleep problems, inability to regulate temperature and extreme mood fluctuation. Detoxing from opiates is something that should be overseen by medical professionals. Do not attempt to quit opiates without medical supervision because the side effects can be very dangerous. Medication that counteracts the effects of opiate withdrawal is necessary in order to detox safely, as well as a medical professional available to assist in the event of seizure, fainting or illness. Opiate addiction is a devastating condition, but there is hope for opiate addicts. Thousands of people have pushed through the withdrawal from opiates and recovered from their addiction under the care of addiction treatment professionals. If you or someone you care about is struggling with an opiate addiction, do not hesitate to reach out to an addiction treatment specialist that suits your needs. Sleeplessness. Opiates severely interrupt a person's natural sleep rhythms and can give them endless nights of sleeplessness and insomnia, which in turn contributes to a number of other symptoms. Nausea and vomiting. There are opioid receptors in the gastrointestinal tract that become physically dependent on opiates and aggravate the stomach to the extent of inducing nausea and vomiting when they do not continue to receive opiates. Irritability and anxiety. Opiates also throw off a person's brain chemicals as the opioid receptors in the brain become dependent on opiate intake. This can propel a person into a heightened emotional state when they are withdrawing. Aches and pains. The entire chemistry of the body is disrupted by opiate dependence and it is common for people to experience muscle spasms, aches and pains through out their body. Soft stool. Opiate withdrawal has traumatic impacts on the gastrointestinal tract in the form of diarrhea, constipation, stomach cramps and irregular bowel movements. Teary eyes. Opiate withdrawal over activates the tear ducts, causing excessive tear production. Dilation of the pupils. This is a well known effect of opiates, but many people do not realize that it can continue into the withdrawal period. Chills and goosebumps. Opiate withdrawal affects the skin and a person's ability to regulate their body temperature. Chills, hot flashes, sweats and goosebumps are very common for a person who is withdrawing. Nasal drainage. The upper respiratory system is affected by opiate withdrawal, and runny noses and nasal drainage often occur as a result. Yawns. Opiate withdrawal cause excessive yawning as the throat muscles attempt to relax and the body attempts to regain its broken sleep rhythm. Rapid Opiate Detoxification first emerged in the 1980's. 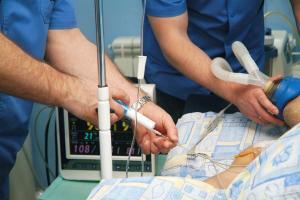 It's purpose was to speed up the recovery time of a hospitalized opiate addict. Initially, it was not administered with anesthesia but other more mild medications that reduced the unpleasant symptoms of withdrawal. It became utilized as a procedure across North America and an attractive detoxification option to opiate addicts, but the medical community as well as the addiction treatment community have mixed feelings about it. The procedure involves heavily sedating the opiate addict and administering an opioid antagonist medication such as naltrexone. This detoxification process takes a few hours and is typically closely monitored by an anesthesiologist and nursing staff. When the procedure is over, some withdrawal symptoms will likely continue, but they are usually minor and can be treated symptomatically. In the 30 years that Rapid Opiate Detoxification has been an option to patients, it has been sped up and advanced even further into Ultra Rapid Opiate Detoxification, which is the procedure that utilizes anesthesia. 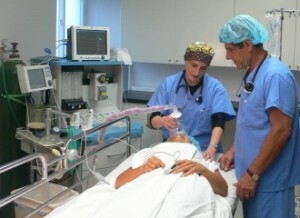 Implementing anesthesia into the process also implemented controversy because any procedure involving anesthesia is controversial. Anesthesia has proven to be very dangerous in many situations because when it is administered, it negates a person's natural physical reflexes that can mean the difference between life and death. However, Rapid Opiate Detoxification and Ultra Rapid Opiate Detoxification have also proven to be a very beneficial option for many people. A number of people keep using opiates even after they have decided to quit them simply because the withdrawal symptoms are so severe. The ingested opiates attach themselves to proteins in the body called opioid receptors and put the person into a euphoric state. However, the build up of opiates in the body leads to a physical dependence on them, and when the body no longer receives them, it goes through withdrawal symptoms such as nausea, vomiting, mental confusion, constipation and increased heart rate. Typically, opiate withdrawal symptoms are non-life threatening, but there have been cases where withdrawal symptoms were so severe that they have sent people into fatal seizures.